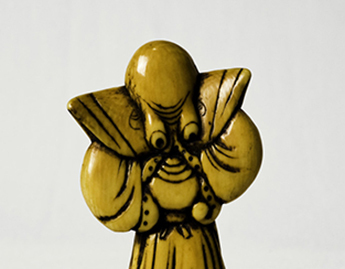 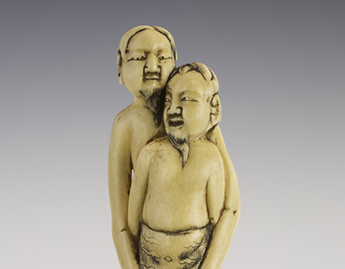 In 1986, the Museum received a generous donation of more than 200 Japanese netsuke and related objects from the collection of William Richter, through a gift of his wife, Margaret Ruth Richter (Class of 1939). 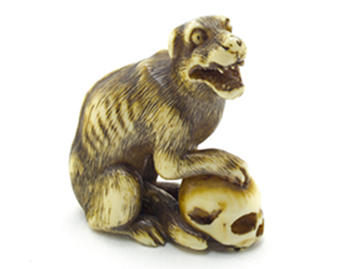 Netsuke are utilitarian costume accessories designed to secure a pouch or purse (sagemono) to a belt. 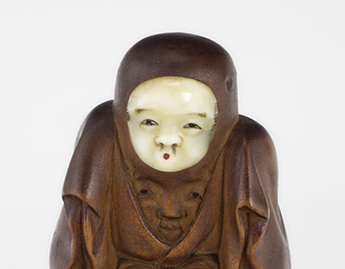 The sagemono is suspended from a cord behind the sash of the kimono, and the netsuke is placed at the end of the cord to prevent the sagemono from slipping off. 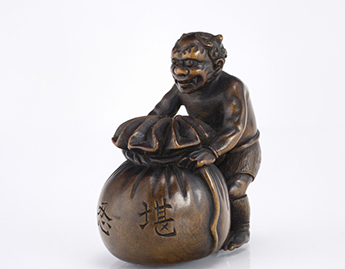 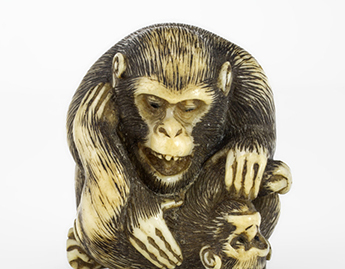 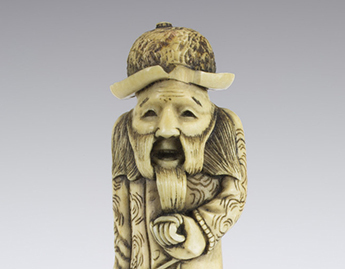 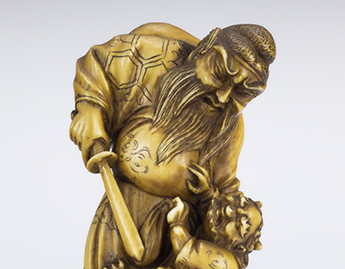 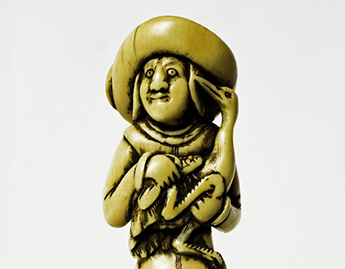 The unique art of netsuke, which flourished in Japan during the Edo Period (1615–1867) eventually became an outlet for the creative imaginations of the artisans who made them and the owners who wore them. 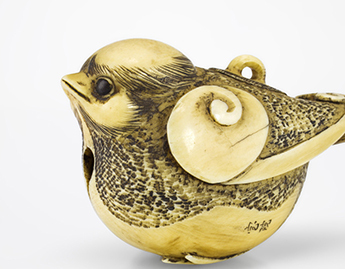 By the late 18th century, the increased demand for netsuke prompted artisans who had formerly concentrated on more traditional art forms to take up the production of these miniature sculptures.